Add latest QMH2562 8Gb Fibre Channel HBA for c-Class BladeSystem by The QLogic StarPower technology. The QLogic StarPower technology offers features such as power and bandwidth intelligent PCIe link training and low-power switching power supplies. The QLogic QMH2562 8Gb Fibre Channel HBA for c-Class BladeSystem allows multiple logical (virtual) connections to share the same physical port. The QLogic QMH2562 8Gb Fibre Channel HBA for c-Class BladeSystem enables SAN-level authentication, fabric-level isolation, and end-to-end data integrity. 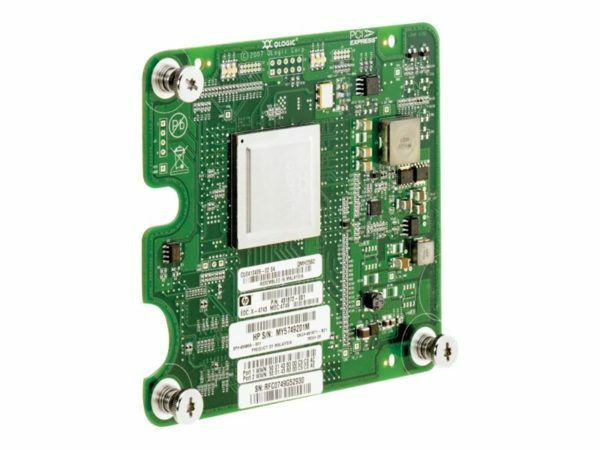 The QLogic QMH2562 8Gb Fibre Channel HBA with QLogic StarPower technology has power efficient HBA and each logical connection works independently .